DermEngine™ is a smart connected platform that offers image archiving, documentation, communication and diagnostics. With DermEngine, your MoleScope images are seamlessly synced with the web platform, and are securely stored on the cloud. DermEngine’s web platform can be accessed at https://dermengine.com. How Do I Start My Free 30-Day Trial? How Do I Create A DermEngine Account? How Do I Log In To DermEngine? How Do I Download The DermEngine App To My Phone/Tablet? I Forgot My Password- How Do I Reset It? I Forgot My Username/Email- How Do I Recover It? Do I Have To Pay to Try DermEngine? How Long Can I Use The “Free” Plan? How Do I Purchase/Remove Add-Ons For My Plan? How Do I Add A Clinical Diagnosis? How Do I Perform A Teleconsultation? How Do I Use The Diagnosis Drop-Down Feature? How Do I Find A Diagnosis Report Of A Patient? How Do I Print A Diagnosis Report Or Create A PDF? Why Can't I Find Certain Patient & Images On The DermEngine App? How Do I Access My Patients List? How Can I View A Patient's Information? How Can I Search For A Patient? How Do I Invite A Patient? How Do I Add A New Spot To A Patient Profile? How Do I Add Or Upload Images? How Do I Navigate The 3D Body Map? How Do I Assign A Patient's Unassigned Images? How Do I Assign An Image That's In Quick Snap? How Do I Get Started With My Teleconsultation Services? How Do I Turn On My Teledermatology Service Availability? How Do I Upload My Medical License? How Do I Provide Teledermatology Services To Those Who Are Not My Patients? How Do I Activate/Edit My Teledermatology Services In A Region? How Do I Set Questions For Patients For My Teledermatology Services? When Will A New Clinic Member Become Active After They Are Invited? How Do I Limit A Clinic Member's Access? How Do I Archive A Member From My Clinic? How Do I Add A Pathology Diagnosis? How Do I Delete or Amend A Pathology Diagnosis? How Do I Submit A Quick Pathology Request? How Do I Use The Clinical Studies Status Bar? How Do I Enroll A Patient In A Clinical Study? How Do I Remove A Patient From A Clinical Study? How Do I Start, Pause, Or Stop A Clinical Study? How Do I Add A Study Form? How Do I Add/Remove An Investigator Or Coordinator To A Clinical Study? Why Is The 3D Body Map Not Showing Properly On My Computer? How Do I Edit My Email Notification Settings? How Do I Change The Settings On The DermEngine App? How Can I Stay Logged In To The DermEngine Mobile App? How Do I Change My Patient's Permissions? How Do I Apply A Discount Code To My Device Purchase? What Comes With MoleScope II? How Do I Register My MoleScope Device On DermEngine? What’s The Difference Between MoleScope And MoleScope II? Will My MoleScope Be Compatible With My Updated Phone/Tablet Model? How Do I Subscribe To Full-Body Imaging? How Do I Add or Upload A Full-Body Image? How Do I Delete A Total Body Photo? How Can I Access A Patient's Full-Body Images? How Do I Add Dermoscopic Images To Spots Detected On A Full-Body Image? What are the requirements to use DermEngine Apple TV app? How do I login to DermEngine on my Apple TV App? How do I navigate the Apple TV MoleBox? How do I search for a patient in Apple TV? How do I display a live camera feed to the Apple TV App? How do I compare moles in Apple TV? How Does DermEngine’s Visual Search Work? How Were The Algorithms Tested? Do The Images I Take Get Used To Enhance DermEngine’s AI? Do I Need To Get Consent From My Patients Because You Might Use Those Images To Enhance DermEngine's AI? Where Can I Find More Scientific Information About Visual Search? Can My Pathology Lab Integrate With DermEngine? Can Patients Add Notes To The Spot They Submit? Can I Monitor Which Doctor The Patient Has Sent The Case To (And If It Has Been Actioned)? Can I Transfer A Case That Has Been Referred To Me To Another Colleague? Can You Set Reminders To Respond To A Case? My Login History Says I Was Somewhere I Wasn't. Should I Be Worried? Can I Use The Mobile App Offline? How Do I Run DermSync Export? How Do I Completely Close And Restart DermEngine? How Do I Set Up Team Viewer? How Do I Uninstall DermSync Export? How Do I Update My Expired Access Key? 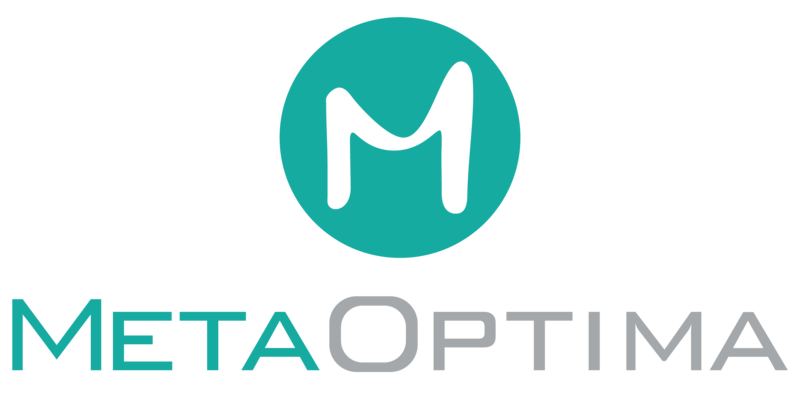 Does MetaOptima Offer A Portal To My Health Record? Does DermEngine Display A Prompt If The Aboriginal & Torres Strait Islander Status Has Not Been Recorded? Does DermEngine Provide Access To The RACGP Guidelines For Preventative Activities In General Practice? Does DermEngine Restrict Free Text To The Narrative Sections Of A Patient's Record?